I first picked up a soft pastel in 2014 and have been happily painting ever since. I work in an impressionist style, both in the studio and plein air. I had been a printmaker in my youth(Lithography and Intaglio), spent twenty years as a Structural Engineer, battled Lyme Disease for a decade, and then finally came full-circle: returning to life as an artist. I have lived in Healdsburg for nearly thirty years and often paint scenes from my daily experiences. 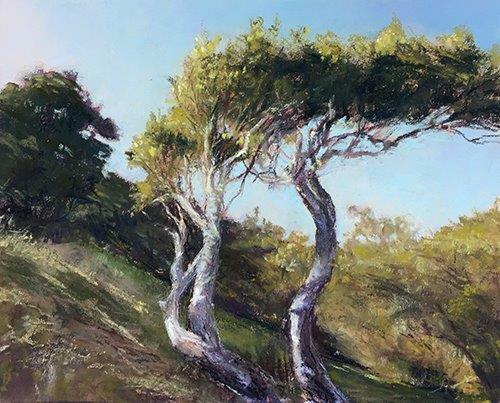 My pastel paintings reflect my fascination with the beauty that surrounds us, sometimes telling a personal story, sometimes just glorying in the beauty of trees.